xtraCHEF, an automated accounts payable and food cost intelligence platform built for the restaurant industry, today announced that Dos Toros Taqueria has chosen to implement their invoice processing solution to streamline restaurant accounting functions. Dos Toros, the growing, fast-casual Mexican concept with 15 locations in New York City and 3 in Chicago, is outsourcing and streamlining restaurant accounting functions as part of a responsible growth strategy. We streamline restaurant accounting functions by giving our customer the ability to simply snap a picture, scan and upload, or email their invoices. xtraCHEF then digitizes and stores the invoice, automatically extracts line-item details, and integrates the data directly to restaurant accounting or inventory management systems. We also provide a number of cost intelligence features, including interactive COGS reports and dashboards that make it easy to access, analyze and share cost- saving information across your operations. For more info, visit http://www.xtrachef.com. 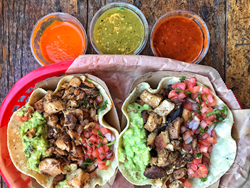 Dos Toros was founded by two brothers from California with a simple dream - to bring the best of the San Francisco taqueria experience to the rest of the country. We proudly cook our recipes from scratch using the finest ingredients and naturally raised proteins. Working together, our terrific and talented team strives to deliver uncompromising excellence, one burrito at a time. Dos Toros opened their first location in October 2009 in New York City’s Union Square neighborhood and recently expanded to Chicago in 2017. For more information: http://www.dostoros.com.